Printed copies of slides for your workshops will be available. Below you can download slides from all workshops. Download Introduction to Integrative Thinking slides. Download the slides to our morning case study. Below is information about our afternoon workshop Educator Facilitators, their workshops and copies of their slides for download. Download slides for Collaborative Problem Solving: Unleashing the Power of Shared Leadership. Download the Benefit Bubble workshop material. Great collaboration happens when the ideas we come to are a result of the thinking of everyone around the table. Yet, too often, we can come into the conversation with a solution in mind, hoping to get everyone to agree to our idea. Shifting to a mindset of possibilities and giving ourselves the time to come to a better answer requires tools to help us engage differently with each other; engage in ways that leverages the insights of the people around the table. This workshop will take the Integrative Thinking process and the Pro-Pro chart out of the classroom context and explore its uses in working with colleagues and staff. Audrey Hensen is an administrator with the Hamilton Wentworth District School Board, recognized provincially for her work in teaching and developing innovative ways to reach students and empower teachers. Audrey has worked with the I-Think team over the past four years to help her schools and workplaces become more inclusive of the voices of staff, students and communities in order to serve today's students. Audrey has worked in four different school boards teaching students from K-8, as a Literacy Improvement Teacher and Coach, and taught AQ courses for Brock and ETFO. Keeping Kids first has been Audrey's top priority throughout her career. Download Benefit Bubble workshop material. Some of the most innovative, disruptive, system-changing solutions to complex problems have come from ‘bad’ ideas, those that the conventional wisdom originally considered outlandish, impractical, or just downright foolish. Yet no matter how many stories we tell of those seemingly crazy ideas that have ended up transforming the world, we as problem-solvers tend to be risk-averse, incremental, and self-limiting, often turning our backs on potential game-changing ideas despite our best intentions. In this workshop we will flip the creative process on its head to explore how the insights of bad ideas can actually lead us to innovative solutions to our most challenging problems. Christopher Federico is a Fellow with the I-Think Initiative at the University of Toronto’s Rotman School of Management. He has taught for over 20 years at both the secondary and post-secondary levels in the disciplines of history, geography, politics, and economics. Away from I-Think he serves as the Director of Teaching and Learning of the Prep and Upper Schools at Bayview Glen and as an instructor in the Master of Teaching Programme at the Ontario Institute for Studies in Education. Download slides from Diving into Complexity. Download Why the differing views on immigration? Are you ready to dive into the world of complexity and causation? Do you and your students face complex questions and problems about the world around them but lack the tools to help make their thinking explicit? This hands-on workshop helps you move past the models we already hold and build new connections. A tool that helps us be more explicit in these connections we hold is called Causal Modelling. Join this workshop to help your students build connections that enable them to become the problem solvers for the challenges about which they are passionate. 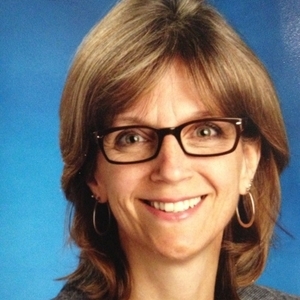 Erin Quinn has taught grades 1-8 at the Toronto District School Board since 2007. She began her I-Think journey in June 2014. It was from that single day of innovation and collaboration that she became hooked on the tools offered through I-Think. In January 2015, Erin became a member of the first I-Think Practicum class. Since the Practicum, Erin has been working with her Family of Schools colleagues to look at the links between the tools of integrative thinking with the practices of inquiry based learning. In addition to her Primary, Junior and Intermediate qualifications, Erin has an Honours degree from Brock University in Physical Education. When not teaching in the classroom, Erin is teaching on the ice. She helps run the TDSB’s Hockey Academy for Grade 5 beginning hockey players. Download Making Thinking Explicit through Curiosity slides. "Are your knees sore from leaping to conclusions?" If this is an issue in your class room, consider learning about the Ladder of Inference. We create our models. Most often this process is done quickly without awareness leaving us unable to share or question our thinking. The ability to make our thinking explicit, and help others make their models explicit, is a skill useful inside and outside of the classroom. Using the Ladder of Inference tool, we’ll explore the ways it first supports students in being mindful about the models they hold, and then builds cognitive flexibility. Creating a classroom culture of self-awareness and curiosity transfers beautifully to students' behaviour in the school, at home, and in the community. Jennifer Warren is a self-proclaimed "Integrative Thinking Addict" who came to I-Think 4 years ago. Although she felt confident that she could build a better writer or a better reader in her secondary English classes, she was always searching for concrete ways to build a better thinker. Each year since, Jennifer has played with the philosophy of integrative thinking and its tools in different ways, experimenting in a variety of classes, from grade 9 to grade 12, and with a variety of pathways, from locally developed to university. Her goal now is to construct her classroom as a think tank whose purpose is to leverage each other’s ideas to collectively solve complex problems and individually expand mental models. Jennifer has been a head of English in HWDSB for 16 years, and she also taught the pre-service English teachers at Brock University for 10 years. Download slides from Building Empathy through Problem Solving. Building empathy within the problem solving process sounds more difficult than it truly is. As our students are bombarded with trivial and complex challenges on personal, local and global levels, what is our role as teachers when assisting them in analyzing the different players within this masterful puzzle? Through the in-depth analysis fostered by the ‘Pro-Pro’ chart, we all gain the opportunity to truly understand how key players can benefit from specific models, while only focusing on the positives. Join us in strengthening our tool box when making tough decisions by deepening our understanding of the world around us, and more importantly, ourselves. Rahim has been an educator for a decade now. In addition to facilitating Business and Cooperative Education curriculum, he recently completed a Masters of Education in Applied Psychology & Human Development. While travelling, teaching and volunteering in more than 25 countries, Rahim always spends time gazing over maps searching for the next eye-opening experience; this led him to Africa to volunteer within a secondary school located in one of the world’s largest refugee camps.